Scientists in Italy, are currently studying mosquitoesthat have been genetically modified to quickly spread a genetic mutation lethal to its own species. The aim of the experiment is to see if the mosquitoes could ultimately provide a powerful new weapon to help eliminate malaria in Africa, where malaria is most prevalent. 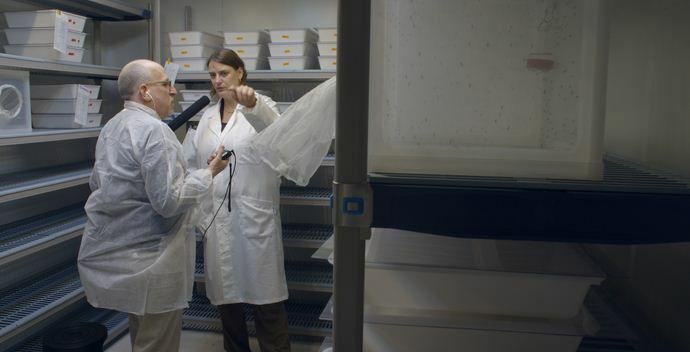 "This will really be a breakthrough experiment," says Ruth Mueller, an entomologist who runs the lab, speaking to NPR. "It's a historic moment." According to NPR, the experiment is being conducted in a lab which was specially built to evaluate the modified insects in as close to a natural environment as possible without the risk of releasing them into the wild, about which there are deep concerns regarding unforeseen effects on the environment. The scientists try as much as possible to keep the genetically altered mosquitoes in enclosed spaces. To stop them from spreading their mutations and to prevent unforeseen effects on the environment. The mosquitoes were created with a potent new gene-editing technique known as CRISPR, which Mueller compares to a "molecular scissor which can cut at a specific site in the DNA." The cut modified a gene known as "doublesex," which is involved in the sexual development of the mosquitoes. In a matter of days, adult modified mosquitoes emerge and are made to mate with their unaltered counterparts. The experiments aim to find out if the modified mosquitoes wouldtransfer their mutation, thereby neutering the mosquitoes that spread malaria. The transformation makes the female mosquitoes lose their ability to bite and to lay eggs, which means they can no longer spread malaria. The intention is that if these modified mosquitoes are finally found to be safe for the environment, they would be taken to Africa and released into parts of the continent most plagued by malaria. The scientists hope that these modified mosquitoes would finally be able to sterilize all female mosquitoes in Africa, bringing an end to malaria or at least reducing it drastically. Over 200 million people each year suffer from malaria and the sickness kills more than 400,000 of its victims, mostly young children. Scientists are optimistic that these gene-drive organisms could eventually help tackle other deadly diseases such as dengue and zika. However, critics fear the possible negative effects of these genetically modified organisms if released into the wild. It is feared that they may destroy crops by eliminating pollinators. "This is a technology where we don't know where it's going to end. We need to stop this right where it is," says NnimmoBassey, director of the Health of Mother Earth Foundation in Nigeria. "They're trying to use Africa as a big laboratory to test risky technologies."